Hand CleanerTEROSON VR 320 hand cleaning paste with soft wood flour. 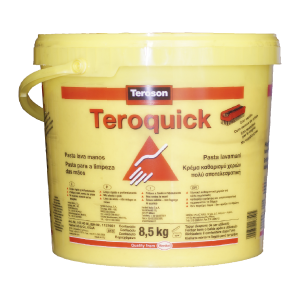 TEROSON® VR 320 Handcleaner paste is a highly-effective hand cleaning paste for fast and thorough cleaning of heavily soiled hands. It removes dirt, oil and grease without any aggressive solvents. The abrasive used in the paste is a smooth-edged and gentle wood flour which will not damage the skin.The product contains no sand and therefore will not block sinks. The cleaning paste is solvent-free and biodegradable.